Allows for the logging of important actions. All accounts activity can be logged and tracked, allowing for markeitng to run success metrics and create lead scoring to improve roll of cold-calling team. Makes me hit my goal. I think this is the most important aspect of Salesforce. It allows me to exceed my quota and that is what makes a happy sales team and company. 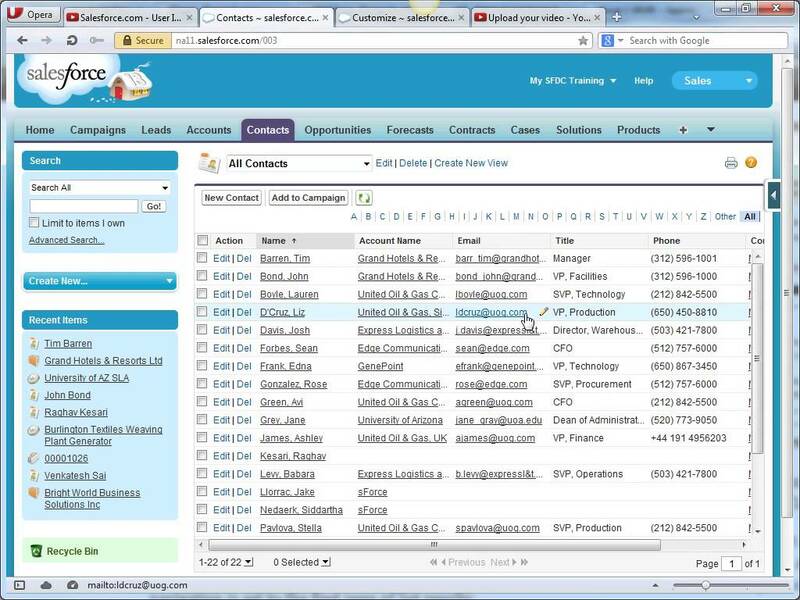 Salesforce delivers standard forms with standard fields with each object (Campaign, Lead, Opp, etc.). By nature, this cloud-based application is relatively intuitive. A proper implementation - the way you add fields, configure forms, assign permissions and develop workflows - can greatly increase usability, enabling each role to efficiently and effectively manage their day. Customer services was friendly. For development objects and for business process adjustments, you are better served by a 3rd party Salesforce consulting partner. Sales reps can easily track their opportunities. Management can easily build reports to track opportunities. Communication with clients has been more seamless.